Where are the various advising/student services offices located? How long will it take me to complete my degree as a transfer student? How will my prior credits transfer? Will my military credits transfer? I am currently enrolled in English Composition and/or College Algebra, can I apply before I finish the course? I have not completed a foreign language, can I still apply? I owe my current school (or past school) money and can’t get a transcript, can I apply to OSU without one? Can I take classes as a non-degree seeking student and then move into a degree program? How many students are in the biggest classes? Will I feel connected on a campus this big? How do I find a part time job in Corvallis? Will I fit in living in the residence halls? Where can I find tutoring? In large classes, how do I make an appointment with the professor? What is the Degree Partnership Program (DPP)? What are some of the advantages of DPP? Who would be able to get the most out DPP? How do I find out more information about DPP? Who do I go about getting financial aid at OSU? What if I have yet to file my taxes? Is there any way to speed up processing and being better organized? Are there transfer student scholarships? What other scholarship opportunities are there? I receive aid, why hasn't my financial aid paid? When are financial aid refunds processed? Is there information available about regular student employment opportunities? Do I need to provide transcripts? Are there limits on aid? Q: Where are the various advising/student services offices located? Q: How long will it take me to complete my degree as a transfer student? A: This will vary by program, number of transfer credits, and whether you are attending part-time or full-time. Once a student has been admitted to OSU and paid their advance tuition deposit, the Office of Admissions will articulate the student’s transcripts. The student can use the articulation of credits to work with their Academic Advisor to determine their path to graduation. Q: How will my prior credits transfer? A: Once you have been admitted to Oregon State and pay the Advance Tuition Deposit (ATD) an articulation of all transfer coursework from regionally accredited institutions will be completed. You will receive notification by email once the articulation has been completed. If you are interested how a course will transfer to Oregon State prior to enrolling, it is recommended to review the Transfer Course Search Tool. Q: Will my military credits transfer? A: Oregon State University grants up to 45 credit hours for military education as recommended by the American Council on Education's (ACE) Guide to the Evaluation of Educational Experiences in the Armed Services. Students may request evaluation of military credit by furnishing the Office of Admissions with a Joint Service Transcript (JST). Oregon State University will grant 1.00 quarter credit for the course HHS 241 Lifetime Fitness Lab. For HHS 241 credit to be granted, please submit either the DD214 or an official ACE transcript. Credit will also be granted if one of the following military science courses has been completed successfully: Physical Fitness, Physical Education, or Physical Conditioning. To receive credit, please submit an official transcript from the institution. Oregon State University will assess and award block transfer credit upon review of your military record. An evaluation report showing block transfer credit hours will be sent to you. Your major college will receive a copy of your evaluation report and the ACE recommendation guideline. Q: I am currently enrolled in English Composition and/or College Algebra, can I apply before I finish the course? A: Once the course is completed, please request an official transcript to be sent to the Office of Admissions. The transcript will be need to see reviewed to determine that the required coursework was completed with a grade of a C- or higher. Q: I have not completed a foreign language, can I still apply? A: Yes. Only applicants that graduated high school spring of 1997 to present need to fulfill the foreign language admission requirement. Students without two years of foreign language at the high school level, or two terms at the college level, may still apply. If you are deficient in the foreign language subject area, you may be admitted by exception, but must complete the deficiency prior to degree completion at Oregon State. Q: I owe my current school (or past school) money and can’t get a transcript, can I apply to Oregon State without one? A: No. Copies of Official transcripts from all prior colleges are required before your admission application will be reviewed for admission. Q: Can I take classes as a non-degree seeking student and then move into a degree program? A: Applicants are welcome to apply as a non-degree seeking student and take classes at Oregon State. If you decide you would like to pursue a degree at Oregon State, you would need to complete and submit a new admission application. Standard admission requirements will still apply. A maximum of 36 credits completed as a non-degree seeking student may be applied to a degree program at Oregon State. Also, it is important to be aware that non-degree seeking student will not qualify for financial aid. Q: How many students are in the biggest classes? A: Class size varies. Large lecture halls often seat 300 students. A student, however, would not have all classes in a 300-person lecture hall. Lecture classes typically allow for personalization through labs and small group sessions, called recitations, which tend to be about 20 students in size. Only 17% of our classes have over 100 students in them. Students will have more classes that have a small class sizes as they advance in their major. Q: How do I feel connected on a campus this big? A: Oregon State provides many ways for students to still feel connected. There are student organizations on campus that are focused on specific interests can help you connect you with like-minded peers and reduce feelings of anonymity at a large school. Campus events feature excellent opportunities to meet people at school. It's often easier to connect with others in a relaxed environments such as sporting events, campus rallies and other special occasions. Joining a study group is an effective way to socialize while completing academic responsibilities. Staying current on Oregon State news is a good way to feel connected on campus. The school newspaper (The Daily Barometer) is a solid source of information that can also provide insight into Oregon State. Q: How do I find an internship? 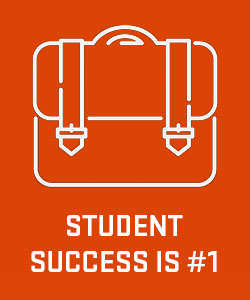 A: One of the best ways to find an internship is to check with the Oregon State Career Center, online at Beaver JobNet, and by communicating with your department about opening specific to your academic major. Q: How do I find a part time job in Corvallis? Search & view jobs (on and off campus), position details, and save select jobs in your Favorite Jobs folder. Create Job Search Agents that will run on a set schedule and email results to you. Q: How do I get involved on campus while living in the Resident Halls? A: Living in a Resident Hall can be scary and new. Here are a few tips to make living in a Resident Hall a little easier. Introduce yourself to the people on your floor, or even in your particular hallway. Be proactive about meeting others that are living in the Resident Hall. Attend your Resident Hall's orientation meeting. Start introducing yourself to the people around you. Get involved in Resident Hall-sponsored activities. Volunteer to help coordinate a Resident Hall event. Join a club and get involved with campus-wide activities. Use these activities as an opportunity to find something in common with other students living in the Resident Halls. If you recognize someone from your Resident Hall at one of these events, introduce yourself. Q: Does Oregon State have childcare? A: Yes. Oregon State does have childcare. You can find out more about the OSU childcare center, and childcare subsidies, events, and activities by visiting the OSU Childcare & Family Resources website. Q: Where can I find tutoring? A: There are many tutoring options available on campus. Some are free and others charge reasonable fees per tutoring session. Several colleges offer tutoring from students within their major college and many other offices on campus offer tutoring which are: Writing Learning Center, the Math Learning Center, and The Collaborative Learning Center (CLC). Q: Where can I find a quiet place to study? Valley Library- Whether in the rotunda on the first floor, hunkered down in the study carrel among the stacks or on the upper rotunda where it’s uber-quiet with a great view, the Valley Library (a past Library of the Year winner) is a top choice to get your study on. Since Java II café is housed in the library, you can power up during study breaks. Memorial Union- The student union is the natural hub of student activity on campus, even studying. The Student Lounge is the campus living room with couches, wingback chairs and benches where students can be found studying (and sometimes napping) between classes. The upstairs areas have natural study areas tucked away including meeting rooms that are a picturesque and quiet sanctuary. Kelley Engineering Center- It’s not just for engineers! It’s an energetic place but is home to an amazing number of quiet study areas tucked away just waiting to be found. As one student surveyed said, “On the 4th floor there are two really comfortable squishy armchairs that have a great view of the mountains. Not too many people know these chairs are there and it is usually quiet up there.” Coffee and snacks are available in the café on the main floor. Dutch Bros. Coffee Shop- Located on the corner of Monroe and Kings (just across from the campus edge) the coffee is a big draw. But the large windows also lend themselves to people watch to get your creative juices flowing. Your room- Many students are able to find their study sanctuary at home. The residence halls are one of the best places to study – quiet, comfortable, high-speed internet and you don’t have to get out of your pajamas to hammer out that research paper. Q: In a class with 200 students, how do I make an appointment with the professor? A:The best way to have a one-on-one meeting with your professor is to visit with them during their office hours. If a professor's office hours do not work with your schedule, try emailing them to set up an appointment. Q: What is a Non-Traditional Student? Q: What is the Degree Partnership Program (DPP)? A: DPP allows students to be “co-enrolled” at both Oregon State and a community college partner. Q: What are some of the advantages of DPP? Q: Who would be able to get the most out DPP? A: Generally, students who are early on in their college career get the most benefit from the DPP program. A current Oregon State student who may need to pick up some core or remedial classes can also benefit from expanded offerings and different class sizes. Additionally, students who are trying to save money or may be in financial hardship. Q: How do I find out more information about DPP? Q: Who do I go about getting financial aid at OSU? A: When you transfer to OSU be sure you have added our school code to the FAFSA (003210) and we will take care of the rest! If you have been receiving financial aid at another school prior to transferring, be sure you have cancelled all of your financial aid there as you may only receive financial aid from one of the institutions each term, not both. Having aid pending at another school can delay your award and disbursement from OSU, so if you have questions, please ask us! Q: When should I apply for financial aid? A: Complete the FAFSA as early as possible. The FAFSA is available in October and OSU’s Financial Aid priority deadline is February 28th. This will give you the best chance of receiving the strongest financial aid package from limited funds. Check with other schools for their deadlines. Q: What if I have yet to file my taxes? A: You may estimate your tax information on the FAFSA using your final pay stub for the year, or your previous year’s taxes if your financial situation is similar. You will be able to correct this information at a later time with the updated information. Q: Is there any way to speed up processing and being better organized? For faster processing of your FAFSA online, apply for a PIN for yourself, or if you are a dependent, your parent may apply. Read your Student Aid Report/Information Acknowledgement for accuracy and for important messages regarding your financial aid eligibility. Q: Are there Transfer Scholarships? A: Transfer scholarships are available through the admission application process, but you must meet the February 1st admission deadline for consideration. Automatic award of $2,500 (Finley Academic Excellence Scholarship) with 3.75 transfer GPA and 36 hours (renewable annually). Must apply for fall term by February 1 application deadline. Considered for competitive Diversity Achievement awards (variable amounts; renewable annually) with greater than 3.25 transfer GPA. Must apply for fall term by February 1 application deadline. Q: What other scholarship opportunities are there? A: Many opportunities also exist for students to apply for scholarships based on their College or Major. Each department administers their own scholarships, sets deadlines, posts and reviews applications, and awards based on their established criteria. A little time spent searching could pay off in the end! In an effort to maximize student access to OSU scholarship opportunities we have launched a new searchable database that consolidates all available departmental scholarships into a centralized location! 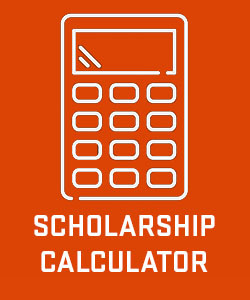 You select the criteria that fit you and the search will return any scholarships you might be eligible for. Click on the name of the scholarship for specific criteria, hover over additional notes for further application details, and when they are available for submission, click on the link to go to that scholarship's application page! Exploring your options couldn't be easier! Visit our Scholarship Database and get started today! Q: I receive aid, why hasn't my financial aid paid? · You may be required to complete Entrance Counseling and sign a Master Promissory Note (MPN) for your Ford Direct Loans. You would have been notified of these requirements via an email to your ONID email account. · Dropping classes (below 12 for undergraduates, 9 for graduates). All students are assumed to be full-time unless they notify Financial Aid in writing that they will be less. If you are not enrolled at full-time and have not notified us, your aid will not disburse. · Having unsatisfied requirements with your financial aid file that you have not completed. You are responsible for managing your Financial Aid experience, so be sure to check Online Services frequently and review any emails you receive from us as they may include requests for additional information or action. Call, email, or stop by if you have any questions, we are here to help you! Q: When are financial aid refunds processed? A: Refunds will be processed daily during the first two weeks of the term. Depending on how you have your account set up, you may receive a refund check in the mail, or by direct deposit. To learn more read the Financial Aid Refund Policy, please visit the Business Affairs website for more information. Q: Is there information available about regular student employment opportunities? A: Not all student jobs on campus require that the student has been awarded work-study funds. 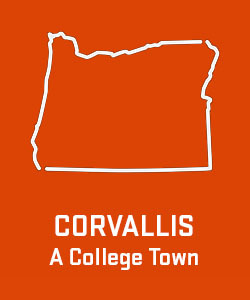 There are regular student jobs on campus and also jobs available in the Corvallis community. Beaver Jobnet is one source of information about regular student job openings, both on and off campus. Other frequently used sources of information are the classified section of the Corvallis Gazette-Times newspaper and signs at the employers place of business. 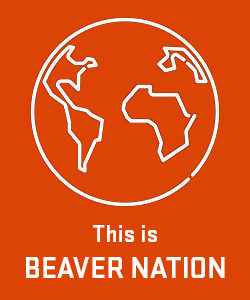 Go to http://oregonstate.edu/career and click on the Beaver Job Net logo on the right hand side. Create your own personal account following the instructions on the screen (Contact Career Services if you have questions on the set-up). On the middle of the screen you will see a “One-Click Searches” box. Or on the top right of the screen you will see a "More Searches" box. Select Student On Campus Jobs or Student Off Campus Jobs from the list. Click on job title for more details about the job. Application or contact instructions will appear in each job listing in the “Description” box. Ignore the Restriction at the bottom of the job posting and apply directly to the employer by the method they specify in the job description box. Check The Job Listings! New Jobs Could Be Posted At Any Time! Never done a job search before? Career Services offers resources for students looking for jobs online and in their office in Room B008 in the lower level of the Kerr Administration Building. Q: Do I need to provide transcripts? Students are required to maintain a minimum cumulative OSU GPA of 2.0 for undergraduates (3.0 for graduates, or as specified by your program). Successfully complete at least 67% of their attempted coursework (PACE). Your previous coursework can impact your PACE and your Maximum Timeframe calculations so it is crucial to have a complete and accurate academic history. Q: Are there limits on aid? A: It is important that you progress toward your degree in a timely manner. Not only are there overall limitations for the total credit hours you can attempt, but there are also Federal funding limits as well. It is key to utilize tools like MyDegrees and visits to your Academic Advisor to make sure you are on track to graduate. When you reach your federal limits there is no appeal process. The amount of Federal Pell Grant funds you may receive over your lifetime is limited by federal law to be the equivalent of six years of Pell Grant funding. Since the maximum amount of Pell Grant funding you can receive each year is equal to 100%, the six-year equivalent is 600%. Up to remaining cost of attendance after student award. Up to remaining cost of attendance after unsubsidized loan award. There is now a maximum eligibility period which affects Direct Subsidized Loan Eligibility for 1st time borrowers ON or AFTER July 1, 2013.There is now a limit on the maximum period of time (measured in academic years) that you can receive Direct Subsidized Loans. In general, you may not receive Direct Subsidized Loans for more than 150% of the published length of your program. This is called your “maximum eligibility period”. You can usually find the published length of any program of study in your school’s catalog. For example, if you are enrolled in a 4-year bachelor’s degree program, the maximum period for which you can receive Direct Subsidized Loans is 6 years (150% of 4 years = 6 years). If you are enrolled in a 2-year associate degree program, the maximum period for which you can receive Direct Subsidized Loans is 3 years (150% of 2 years = 3 years). Your maximum eligibility period is based on the published length of your current program. This means that your maximum eligibility period can change if you change programs. Also, if you receive Direct Subsidized Loans for one program and then change to another program, the Direct Subsidized Loans you received for the earlier program will generally count against your new maximum eligibility period. For additional information and examples, please review the official announcement from the US Department of Education.